San Group: Company in a Hurry. If you have not yet been featured in our Spotlight section and would like to be, please email me at kcrowe@bcwood.com or call 604-882-7100. You must be a value-added wood manufacturer in BC; however, you do not have to be a member of BC Wood, or any other association to participate - and it is free of charge! If you are using Microsoft Outlook to view this email, you may not be able to see all of the images. In this case, you can view the webpage version of this email by clicking on the link at the top of this email "Having trouble viewing this email? F eel free to send me news stories that you think our readers would be interested in. You can email them to kcrowe@bcwood.com. Photographs from this past year's Global Buyers Mission have been uploaded to our website! To request high-resolution versions of any photo, please contact Kit Crowe kcrowe@bcwood.com. The top two floors of the iconic Central Library were originally leased to the provincial government when it first opened in 1995. After 23 years, the original concept of an accessible rooftop garden is now open to the public. VanAir Design and Lynden Door are very excited to have delivered the largest commercial installation of VanAir Doors to date. The VanAir Doors function as air exhausts for the office rooms, meeting rooms and an 80-person auditorium. The original architects, Moshe Safdie & Associates and DA Architects were retained for the expansion along with the renowned landscape architect, Cornelia Hahn Oberlander. The new expansion was made possible through investments from the Government of Canada and the City of Vancouver, including generous support from donors to the Vancouver Public Library Foundation. With over 5,000 visitors a day, the Central Library is the most visited major urban library per capita in Canada. B.C. 's San Group Inc is a company in a hurry, having recently purchased a mill operation on Vancouver Island-and they will be adding to the mill operation soon with a small log line. When you're a mid-sized family-owned company, sometimes the decisions can be made quickly, easily-and on a ferry. That's sometimes the case with B.C.-based San Group Inc., a forest products company with remanufacturing operations in Langley, just outside of Vancouver, and relatively newly-purchased mill operations in Port Alberni, on Vancouver Island. While travelling between the two operations between the Mainland and Vancouver Island on B.C. Ferries, San Group CEO Kamal Sanghera and his small executive group will review operations, and make plans-and execute them quickly. 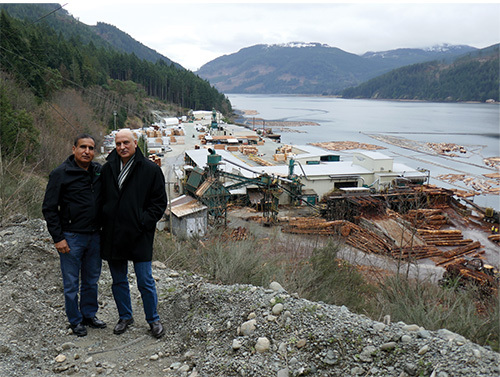 Just over a year ago, San Group purchased the long-established Coulson Forest Products sawmill, based in the Vancouver Island forestry town of Port Alberni, about 80 kilometres west of Nanaimo. 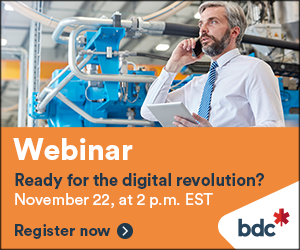 Only 19% of Canadian companies are digitally advanced. Yet, in an increasingly connected, automated and data-driven world, businesses need to embrace new technologies or risk falling behind. BDC surveyed 2,000 Canadian and 600 American small and mid-sized businesses to understand how they are adapting to these changes. 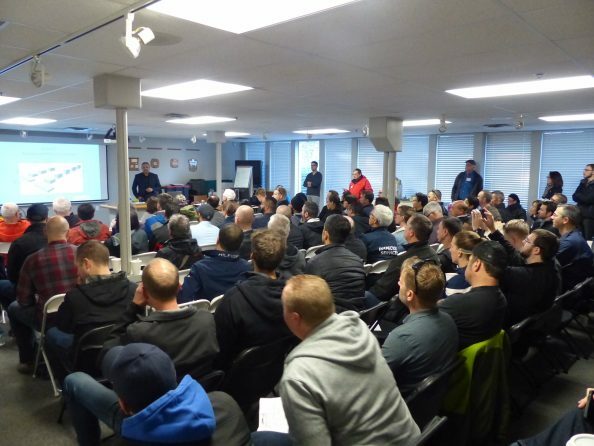 Nearly 200 architectural, structural and fire engineering and service professionals, as well as building and insurance officials, developers, builders and installers gathered at the Surrey Fire Department Training Facility on Tuesday, October 16 for the Fire Performance Demonstration Workshop 2.0, hosted by Wood WORKS! BC and the Canadian Wood Council. This workshop provided essential information about wood building fire requirements in the upcoming revised buildings codes. The event opened with a classroom format featuring 10 speakers and three "roll up your sleeves" interactive sessions. After a lunch at visiting local food trucks, a live burn commenced that showcased side-by-side fire comparisons of three large (8' x 8') demonstration boxes; a CLT cube, a steel cube, and a course-of-construction cube, each built to code. UBC's B.Sc. Wood Products Processing program is now accepting co-op postings for the Summer 2019 term (May 2019 start). Attached you will find our program overview, a few examples of co-op positions for Wood Products Processing students and a job template in case you need one. Our students are available for 4 month (May to August) or 8 month (May to December). There are still a few students available for a Winter 2019 term (January to April/August). Students are qualified for positions related to marketing/sales, business process analyses/improvements, engineering processes, manufacturing, quality control, research, testing and technical analysis. Please contact Sanya Sivic at sanya.sivic@ubc.ca if you would like to post a position. Part-time online training program with a one-week hands-on practical session - t his is North America's most comprehensive wood finishing certificate program. The certificate program provides participants with a broad understanding of the field of wood finishing. It's designed for individuals who have some general experience in wood finishing and would like to expand their knowledge. 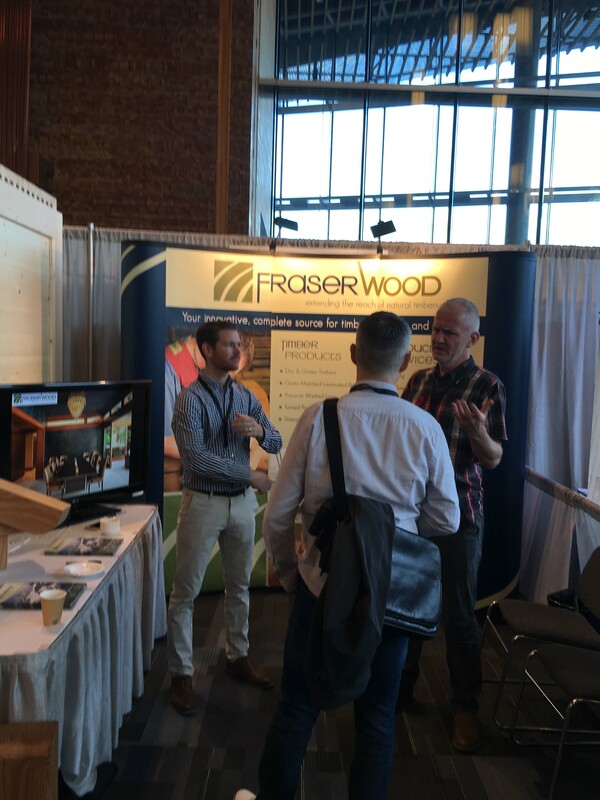 BC Wood recently attended Wood Works BC's annual Wood Solutions conference, along with International Timberframes, Brisco Manufacturing, Fraserwood Ind., and AWMAC. This year's event brought in a larger international delegation as it was held in conjunction with a week-long gathering of international policy makers in collaboration with the lobby group Passivehouse Canada and the United Nations Economic Commission for Europe's Committee on Forests and the Forest Industry. 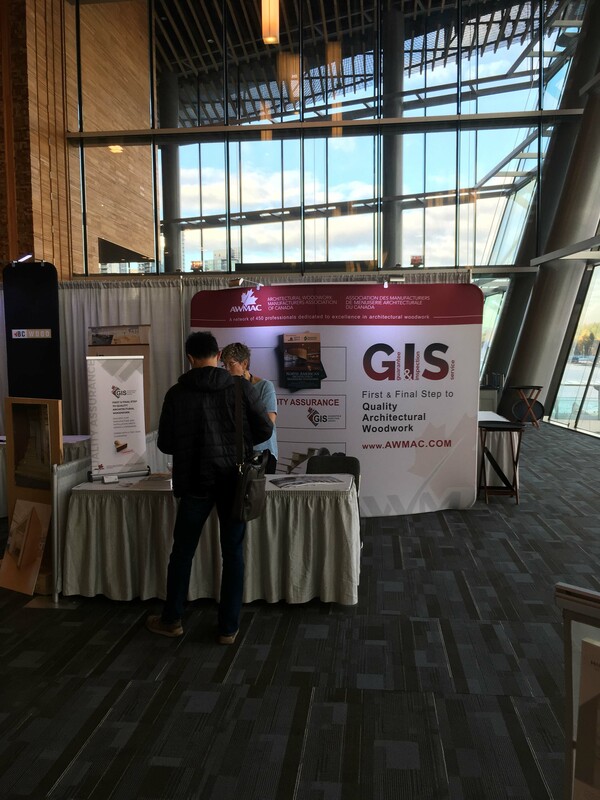 The conference is a one-day, educational event for architects, engineers, builders, contractors, building officials, technologists, planners and developers. 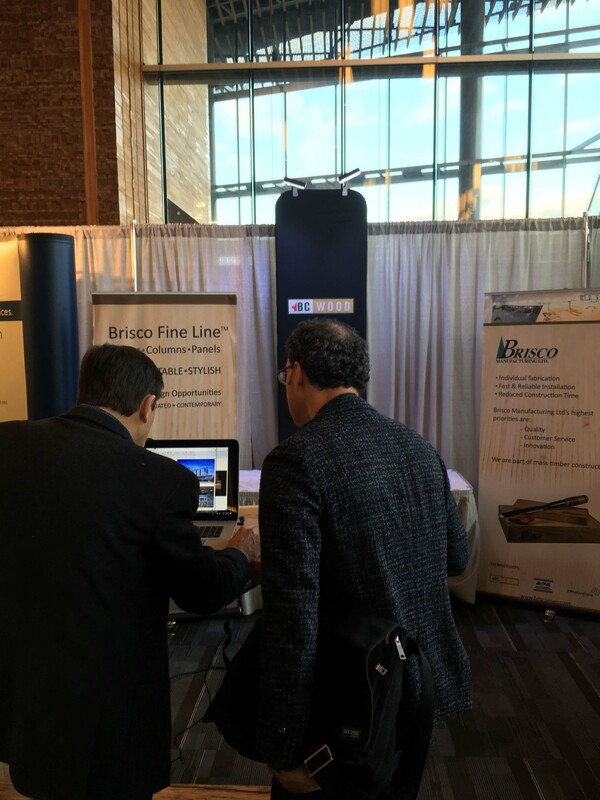 It showcased wood uses in commercial, institutional, industrial and multi-unit residential construction through specifically designed seminar streams. Need to get through to ideal prospective customers? Hold an event - any event - and try "Invitation Marketing!" It's a mantra my marketing and sales coaching clients hear frequently: "Hold an event - any event - and let's get talking to ideal prospects who are hard to reach." If they worry about no one coming to their event, my response is cheery. "That's great. If you hold a wine and cheese open house, and no one comes, you get to keep the wine." What I really mean is that turnout is secondary. The #1 reason for holding a special event is that you can use the invitation process as an ice-breaker to get through voice mail and gate keepers - and finally reach many of those elusive decision makers you want to work with. Now that the US midterm elections are done, the rest of the planet gets a nice two-day break before the 2020 election race begins! Our neighbors to the South do like their elections. Following the last Wood Connections where we reviewed Lake Tahoe, I wanted to have a quick look at the Napa/ Sonoma market of Northern California. As with Tahoe, this region is a market dependent upon tourism as driver of its economy and both draw from the affluent population base of the San Francisco Bay and Silicon Valley market. Where they differ is while Tahoe focuses on the recreational market, Napa is all about the wine. This region is blessed with a unique blend of weather and soil that make it perfect for growing grapes and therefore wine. Market opportunities for BC Industry in this market vary, but generally focus on the supply of mass timber and finished products for the 400+ wineries and tasting rooms spread across the region. Nearly all the wineries in Napa/Sonoma are high-end and have elaborate, well designed tasting rooms attached to the production facility. 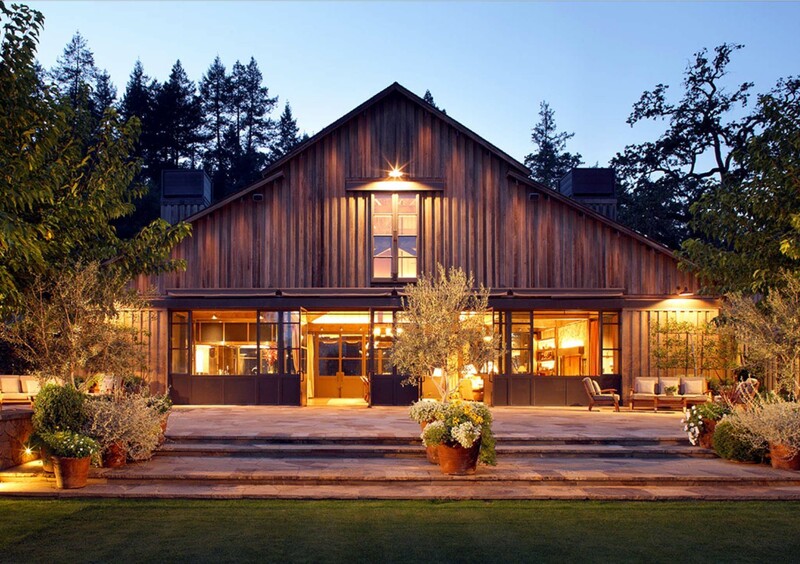 Timber fits exceptionally well into the design esthetic of the Napa Valley which many attributes to the vision of Howard Backen, an influential architect in the region. 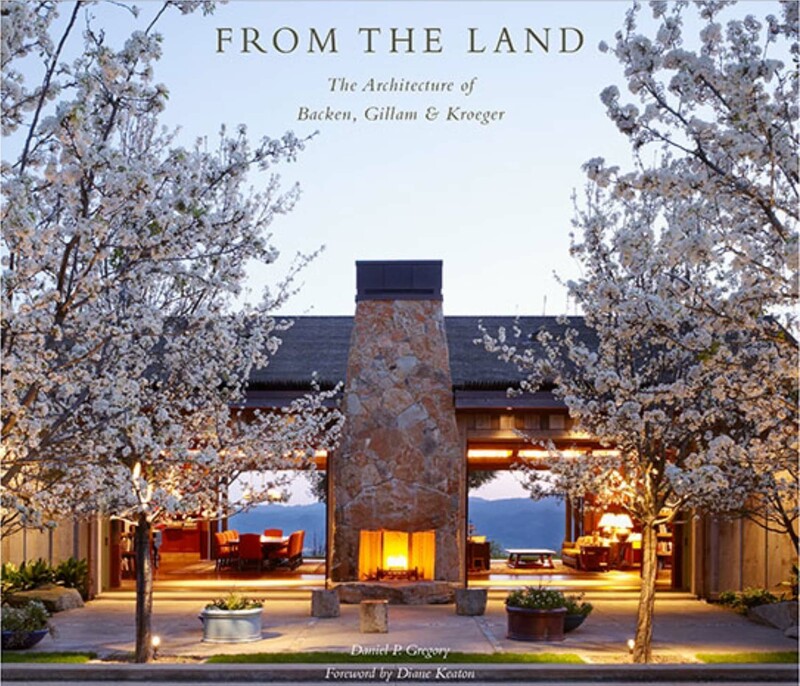 The architectural firm he created, Backen Gillem Kroeger (with offices in St Helena and Sausalito), is still a prominent influencer for Napa style architecture. Only One Booth Left at the BC Wood Pavilion! 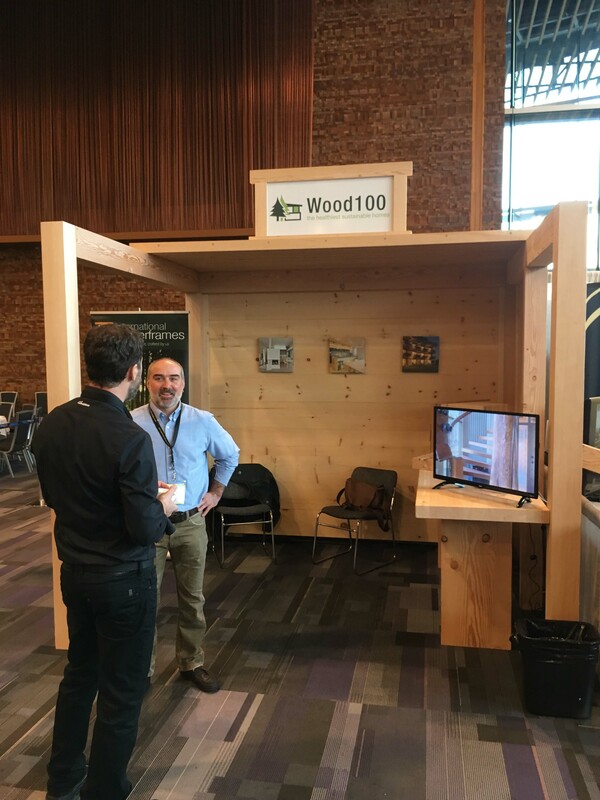 BC Wood will once again be hosting a pavilion at Buildex Vancouver, from February 13-14, 2018. 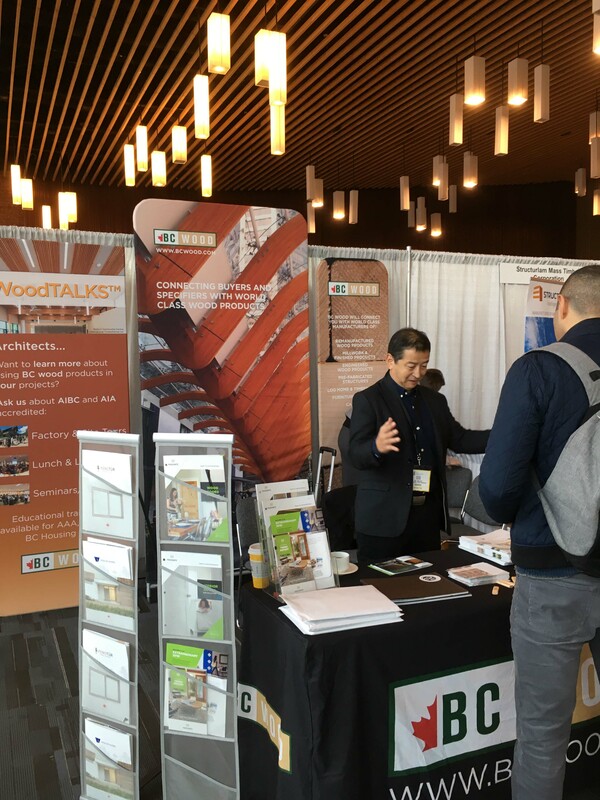 BUILDEX Vancouver is Western Canada's largest tradeshow and conference for the Construction, Renovation, Architecture, Interior Design and Property Management industries. With over 600 exhibits, and more than 80 educational seminars, BUILDEX attracts over 14,000 attendees annually. For a space in the popular BC Wood pavilion, please contact Ken Hori at 604-882-7100 or khori@bcwood.com. BC Wood will be organizing a pavilion for members at the next Housing Brand Fair to be held from February 14th to 17th at the very convenient COEX Exhibition Facility in Seoul's Gangnam district. The show's strong promotional backing and central location attracts most of the major players in Korea's wood and construction industries. A wide range of products are covered at the show including lumber, millwork, kitchens, furniture, and house packages. Therefore, this show is ideal for a large cross-section of BC Wood members interested in targeting professionals in the Korean construction industry. 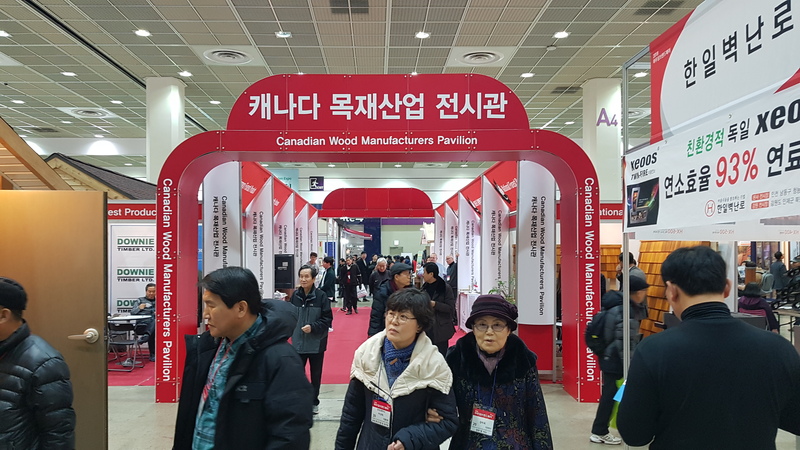 On behalf of BC Wood members interested in attending the show, BC Wood's Korean Representative JC Lee has been negotiating with the show organizers to cover some of our members' travel costs for the show. For more information on this and the show, please contact Jim Ivanoff at ivanoff@bcwood.jp. BC Wood will once again be coordinating the Canadian Pavilion at the Nikkei Architectural and Construction Materials Show that will be held at Tokyo's Big Sight from March 5th through 8th, 2019. The Nikkei Show is already sold-out, but with BC Wood's longstanding participation in the show we have been able to secure a pavilion in a prime location on behalf of our members. The Nikkei Show is the largest show of its kind in Japan and sees over 250,000 industry professionals over the show's four days. The show attracts a great number of architects, but is also well attended by importers, distributors, and both residential and commercial builders. Therefore, the show is a good fit for producers of cabinetry, millwork, house packages including log and timberframe, as well as lumber and remanufactured products. For more information, please e-mail me at Ivanoff@bcwood.jp. This project will hire a consultant to report to the chair of the Housing Authority Development Committee and carry out duties to assist in the development of the housing authority. The intended outcome for this project is a non-profit housing authority with a Mission, Vision, Values, a governance structure with a cultural match, the appointment of a board of directors by the Council, and the hiring of an Executive Director/CEO by the Board. The members of the housing authority will be the elected Councillors of the Squamish Nation Council who will appoint board of directors. If you would like to include a posting in our Marketplace section, please email me at kcrowe@bcwood.com or call 604-882-7100 and ask for Kit. If you have any questions, comments, suggestions, or feedback, feel free to email me at kcrowe@bcwood.com. BC Wood is a not-for-profit trade association that supports BC businesses that manufacture wood products. 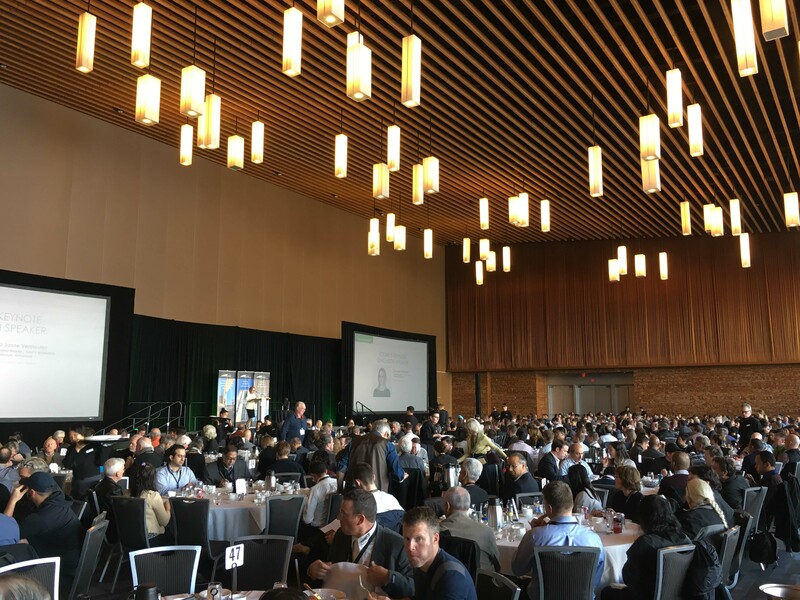 We are a voice for the industry, bringing innovative ideas to the table and insight into how we can strengthen BC's wood culture. We are leading the industry by creating a culture where wood is the first choice for all types of construction and design products. For more information on BC Wood, visit our website: www.bcwood.com.